In constant pursuit of exceeding expectations, we approach each project with creative and strategic thinking. Whether your challenge is creating a new brand, re-branding, or refreshing your brand, we offer knowledge and expertise in branding guidance. We are unique in that we are a full service firm that can offer an implementation plan and also execute the implementation plan. The practice what you preach mindset is our rule of thumb. We help our clients transform themselves and their brands if that is what they need. Whether they are repositioning their messaging, reestablishing their internal culture or launching something new, we help them navigate their challenge with innovative thinking and proven techniques of brand strategy, expression and experience. ideas so that we create what you want. We figure out ways to make sure that your web solution is easy to use. We make sure that you can update the site with minimal fuss and we work with you to ensure that Search Engine Optimization keeps visitors coming to your site. A professional web designer knows what looks good when a site is online. We know which fonts and colors to use so that all viewers will be able to read content easily and without distraction. We know how to design a page layout that the average viewer can easily navigate to find the information of interest to them. This results in sales and business for you eBranding Group (Baltimore City Web Design and Branding) will apply a professional and well organized design that exemplifies your commitment to your business. eBranding Group can provide a dynamic site that is written with advanced coding and draws from a database. We integrate video, audio and other forms of marketing within the design. eBranding Group takes into account your budget, your target customers, and what your business is all about. Your company deserves a personalized web solution that works for you and your staff—not for just anyone in your field. We will create a web solution that is just as unique as your company. 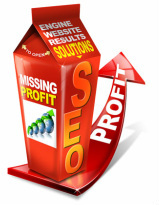 Search Engine Optimization is the process of increasing the visibility of your website on the various search engines. The goal of course is to have your site listed on the first page of the most common search engines. Most searchers will refine their results with additional key words rather than searching though page after page thus, the higher up you are, the more likely people will find and visit your website. This process is achieved by, first, indexing your site with the search engines and then utilizing the best possible keyword searches. eBranding Group has a guaranteed strategy to move your page up the search ranks. We have an experienced team of professionals who will devote themselves to increasing your visibility and moving your site up through the ranks. Being local to the Baltimore Maryland marketing area, we have a unique view of how to advance your advertising in order to reach your target market. Our team has worked with over 500 websites with small and mid-size companies as well as government agencies. If you have a website or are considering building one you probably have heard of ‘SEO’ or ‘SEM’ if you haven’t, you know NOW! SEO stands for Search Engine Optimization, SEM stands for search engine marketing. The objective is to increase your visibility (get on first page of search engine sites) and do it in a cost effective way. Search engines are the single most effective method for finding the information you need and for getting your product or service to the public. But if your website is not optimized properly, your page may not be found, and if people cannot find your site, you miss out on opportunities for additional sales. Increasing your website visibility is one of many different things a brand design firm must do. It is a unique combination of site keywords, tags, descriptions and web content. eBranding Group can assist your firm with a plan to develop these key words, tags, detailed descriptions and web content as well as provide you with reports on how well the campaign is going.